Today the PlayStation Network might be a little more bogged down than usual, as the system software update version 3.40 is now available for download. Included in the update are a new video editor, photo galleries, and the much discussed PlayStation Plus subscription model. •	PlayStation Plus: PlayStation Network users will be able to purchase membership to PlayStation Plus; a new subscription service on the PlayStation Network that provides you with new options to expand and enhance your gaming experience and enable you to gain an exclusive set of features and content. Friendly reminder, all of you PlayStation Network users will continue to have free access to PlayStation Network’s unmatched and expanding suite of new and exclusive features while PlayStation Plus subscribers will gain access to an exclusive and expanding set of gaming features, content and functionality. •	Photo Gallery: A new network based photo sharing feature is now available on the Photo Gallery. The enhancement allows you to upload, browse and comment on photos on Facebook and Picasa Web Album. You can also opt to share your photos between your PlayStation Network friends as well as print photos from Photo Gallery. •	Video Editor & Uploader: Video Editor and Uploader is a new function found on the XrossMediaBar (XMB), which enables you to edit, save and upload video files stored on the PS3 system to sites such as Facebook or YouTube. •	Five Star Rating Support: Users can rate the PlayStation Store content they have purchased with one to five star ratings. •	Power Save Settings: The default setting for PS3 System Auto-Off will be set at 2 hours, providing you with additional power save options and further improving power save features on the PS3 system. Of all the new updates, the PlayStation Plus service is by far the most discussed. 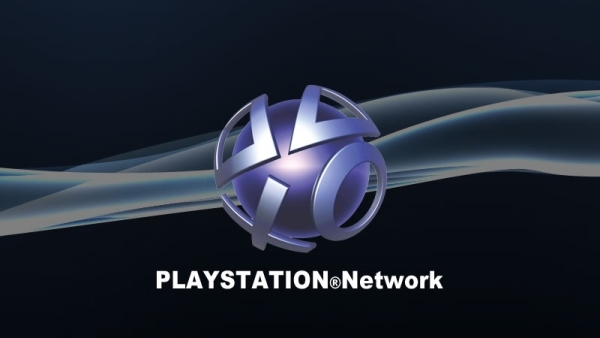 The service expands the PlayStation Network and puts it more on par with the Xbox Live Gold Memberships, which have offered a subscription based model since the Xbox 360 was released. To access the PlayStation Plus network, you can either drop $17.99 for 3 months, or $49.99 for a year. With that, users will have access to game demos, big discounts on downloadable content and exclusive content such as betas for upcoming games. To coincide with the release of the PlayStation Plus service, the PS3 title inFamous has been released as a downloadable game- and although you can purchase it for $29.99 without the PlayStation Plus service, with it you can download a sixty-minute long demo. The game itself is 6.88 GB, so you will have plenty of time to think about whether you want to buy it or not as you watch the status bar creep towards its finish. When you sign up, you will have the option to download three full games for free: Wipeout HD, Rally Cross (a PS1 Classic) and Age of Zombies. Midway and Tik Games are also offering 50 percent off their downloadable titles that include: Gauntlet II, Mortal Kombat 2, Rampart and Rampage– all for $2.50, as well as Magic Orbz, Mahjong Tale: Ancient Wisdom, and Interpol: The Trail of Dr. Chaos– for $7.99. But if shelling out cash to Sony isn’t your thing, the firmware update does offer a few other updates that make it worth the 2 to 5 minutes or so that it takes to download. Upgrades to Facebook now allow you to bring your PSN avatar over to your Facebook account, a new photo gallery makes it easier to sort your pictures, and maybe coolest of all – a video editor allows you to upload edited videos directly to sites like Facebook and YouTube. A new power saving option, and a rating system were also included in the firmware, which is available now.